Do you know the difference between assault and battery in Maryland? Assault and battery are a combination of the threat and the physical harm done. The severity of the injury caused to the victim can decide if the charges are an assault or a battery case. According to the common law, it could either be a felony or a misdemeanor. 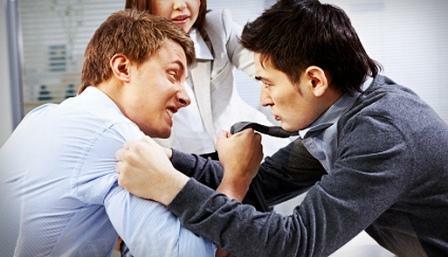 To help you with your case you can get the help of an assault lawyer in Maryland. Any reasonable threat to an individual is assault, while the battery is defined as the use of force against a person with the purpose of causing bodily harm without their consent. As a simpler definition, assault is the attempt to commit a battery crime. The assault can cause a person to be afraid of violence (but without any violence inflicted on the victim). The battery is considered the trespass into the personal space of a person without their approval, causing them bodily harm. If you were the victim of an assault or battery, you should contact an assault victim attorney from Annapolis. With the help of a professional, you can receive assault compensation for the emotional or physical injuries you have suffered. The crime of assault doesn’t require an actual injury to the victim, according to the assault legal definition of Maryland. Attacks where the victim suffers an injury will result in a more severe punishment for the criminal. If you were the victim of assault, you could be entitled to assault compensation and with an assault victim attorney from Annapolis, you could prove the guilt of the person that hurt you. Assault if the rock misses. Battery if the rock hits that person. It will not matter if the victim was aware that a stone was being thrown at them or not. The assault conviction can have severe consequences for the aggressor, such as a substantial fine, time in prison and a criminal record. If you were the victim of assault or battery, it would be much easier to prove the guilt of aggressor with the help of a law specialist. Contact the best assault lawyer in Maryland at (443) 569-3950 or at email [email protected]. Get the best representation possible and let us fight for your justice.